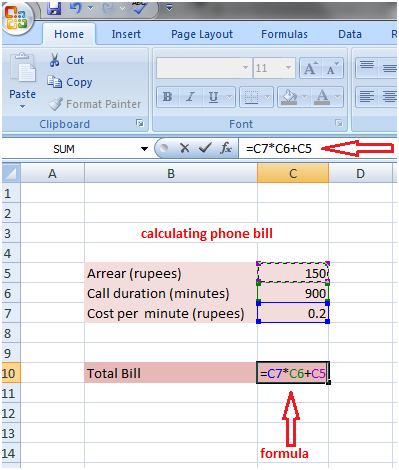 =C2*5 for multiplication, the value in the cell C2 is multiplied with 5. 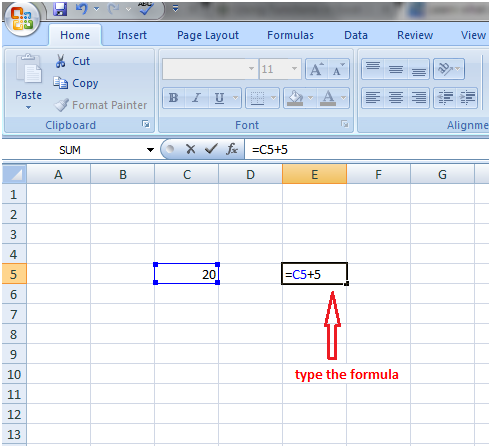 =C2-5 for subtraction, 5 is subtracted from the value in the cell C2. 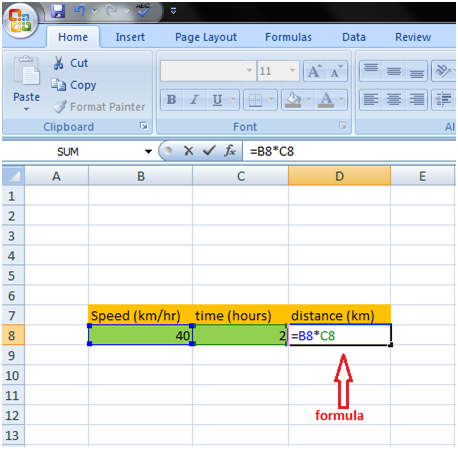 More formulas can be created by typing = in the cell then selecting the appropriate values and typing correct mathematical symbol in between.